The tax code allows for three ways to shift money into a Roth IRA. You can make annual contributions directly to a Roth IRA. You can also rollover money from a Roth 401(k) or 403(b). In addition, you can put money into a Roth IRA through a conversion. A Roth IRA conversion is a strategy that is worthy of consideration for investors seeking to shift their retirement savings to an account that allows for the tax-free growth of earnings. While Roth IRA contributions are not tax deductible, qualified withdrawals of both contributions and earnings from a Roth IRA are free of federal income tax. The process of converting a traditional IRA to a Roth IRA will subject any untaxed amounts to income taxation. 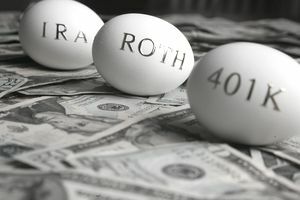 A Roth conversion of an existing retirement account is a major decision. Among other factors, you must consider your current income tax rate, your expected future income tax rate, and the anticipated rate of return of your investments. Recharacterization of a Roth IRA conversion is a tax planning strategy that can help minimize taxes. It is also a strategy that you can use if you simply changed your mind. You still have the ability to change from a traditional IRA to a Roth IRA. This may have happened if you originally contributed to a traditional IRA because you anticipated your actual income was going to exceed the limits to contribute directly to a Roth IRA. In the event that your income ended up being lower than you anticipated, you choose to take advantage of the opportunity to change that contribution to a Roth IRA. Changing a contribution from a Roth IRA to traditional IRA is another possible method of recharacterization. This scenario could occur if you originally contributed to a Roth IRA but then realized your income was too high to qualify for a full Roth contribution or that you would benefit more from the immediate tax breaks with a deductible IRA contribution. According to the IRS, a Roth IRA conversion completed in 2017 may be recharacterized as a contribution to a traditional IRA as long as the recharacterization is made by October 15, 2018. Roth IRA conversions completed on or after January 1, 2018, can no longer be recharacterized. As a result of these tax law changes, the window to recharacterize a Roth conversion will be closing soon. One reason to consider recharacterization of a Roth conversion is if the investments declined significantly since the date of the conversion. Another legitimate reason to consider recharacterization is if you had higher than expected taxable income during the 2017 tax year. With the Tax Cuts and Jobs Act passing in the latter part of the year many taxpayers are likely to see their overall tax rates decrease during 2018. Another reason to consider recharacterization is if the Roth IRA conversion pushed you to a higher marginal income tax bracket. With changes in income tax rates at the federal level it is also possible that your taxable income in retirement may be lower than originally anticipated, thus reducing the potential benefits of a Roth IRA’s tax-free distributions. One final reason to consider recharacterization is if you did not have enough cash on hand to pay the taxes due from the original conversion. What Happens When You Want to Reverse a Roth IRA Conversion? Financial plans are dynamic and as such are constantly subject to change. During previous tax years another tax planning strategy known as recharacterization was an effective tax strategy available for taxpayers to consider. The main appeal of recharacterization was based on the fact that it can be difficult to fully know your actual tax liabilities until months after your Roth conversion was completed. The recharacterization of an IRA conversion is essentially a reversal back to the original IRA account. This strategic reversal is generally done to achieve more favorable tax treatment. Recharacterization historically provided extra time to figure out your tax liability for the previous tax year and then you could undo the conversion if it created less than desirable tax consequences. The Tax Cuts and Jobs Act eliminated the ability to recharacterize Roth conversions for taxable years after 2017. This means that if you previously completed a Roth IRA conversion during 2017 you have until the October 15, 2018 deadline to complete the recharacterization process. This is based on the tax-filing deadline including any extensions. It is important to note that recharacterizations have technically not been completely eliminated. Excess contributions to a Roth IRA can still be recharacterized if you end up earning too much to contribute directly to a Roth IRA (see the 2018 income limitations for Roth IRA contributions). Recharacterization provides investors with a strategic opportunity to reduce the tax liability on a Roth IRA conversion. However, the tax law changes in effect for 2018 limit the opportunity to use this strategy going forward as the window of opportunity will soon be closing. If you completed a Roth IRA conversion in 2017 and are considering recharacterization you must complete the process by October 15, 2018. It is important to be sure of the complete tax implications. Calculating your estimated taxes due with and without the recharacterization should help you review the pros and cons of this decision. Recharacterization rules can be confusing, so working with a tax adviser is advisable to fully understand the pros and cons based on your tax situation. As you review your retirement planning strategies for 2018 and beyond, keep in mind that Roth IRA contributions and conversions are still viable options. However, the biggest change is the elimination of the ability to undo a Roth IRA conversion. For details on Roth IRA conversion do-overs, see “Recharacterizations” in Publication 590-A, Contributions to Individual Retirement Arrangements (IRAs).